We passed through Bangkok four different times and stayed in the city for around two months. It was during our fourth visit that my assumptions and judgments about Bangkok finally slipped away. On the shoulder of green landscape looking out over the spot where a meandering river rolls into the vast Indian Ocean, there sits a small clutch of traditional Xhosa rondavels. 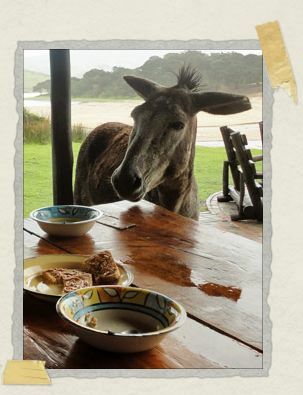 This is Bulungula (pronounced boo-lun-GOO-lah), the eclectic ecolodge founded seven years ago by a Cape Town backpacker named Dave Martin. It is a marvelously remote place – the adventure we had getting there on public transportation was one of the real standout highlights of our trip, and will be the subject of its very own entry at some point. Suffice to say, though, that when the sun dips below the western hills and all the countless stars come out to play, it's a sky unlike anything we'd ever encountered before. 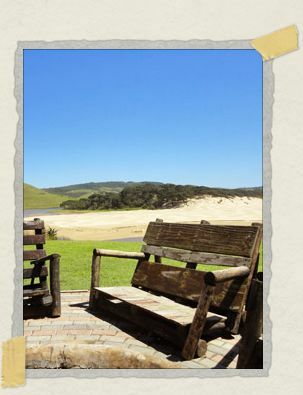 Surrounding the lodge is the village of Nqileni, which is pronounced by saying "nileni" and giving a nice popping click at the beginning of the word. (Dave named his lodge after the Bulungula river rather than after the village so as to spare a million backpackers the humiliation of trying to pronounce Nqileni over the phone.) The lodge is actually split in ownership between Dave (60%) and the village (the other 40%). It's not a non-profit organization itself, but it works in partnership with the village in a way most unusual for any South African lodge, which is a big part of the reason we wanted to come see it. We'll admit, though, that we were suspicious. Bulungula sounded idealistic and impressive, but we weren't completely sure that we weren't being sold a bill of goods. We've seen our fair share of "save the planet" kinds of places where backpackers can feel like they're making a difference in the world just by staying at a particular hostel, but the trick is trying to figure out what's real and what's just good PR. So we approached Bulungula with open minds and hearts, but with open eyes as well. A piece of gnarled driftwood hangs beside the door, and we've been hanging our clothes on it – we collect some of them now and make our way out into the chilly morning (hey, I thought this was supposed to be Africa?) and over to the latrine. No, not the one with the green-friendly composting toilets, the other one. The one with the rocket showers. There are a million million little innovations and bits of duct-tape technology at Bulungula, because I suppose that catering to dozens of backpackers at a time in a remote village without electricity or running water just wouldn't be possible without a whole lot of ingenuity. Nowhere is this better exemplified than in the rocket showers. We talked to JC, the gregarious if grizzled local McGuyver who created them, and he told us that they're actually a bit of eighteenth-century technology. When you first come to the lodge, your welcome tour includes a complete how-to session with the rocket showers, but it still takes an ablution or two before you really get the hang of it. In essence, you place a small tub of paraffin at the base of a long iron tube and ignite it with a wad of flaming toilet paper. The Rube Goldberg contraption attached to it then heats captured rainwater into a passably hot eight-minute shower. 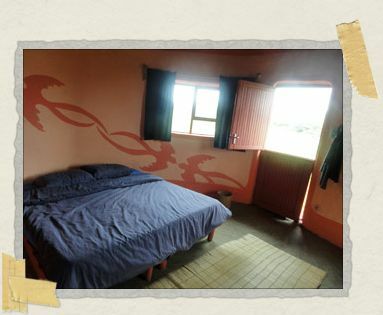 After showering and dressing, we'd make our way into the main lodge and pour ourselves two cups of nice hot rooibos tea. Next, we put in our breakfast orders with the ladies in the kitchen and then record them on the little chart at the bar (everything here is on the honor system – whether you grab a beer or a candy bar, you're expected to add it to your bill yourself). Then it's time to go grab a seat outside and watch the ocean pound against the beach while we enjoy our tea and wait for our breakfast. Ah, good, it looks like the sun is coming out now. Some of the people we're chatting with have elected to do a little horseback riding later in the day, or a touch of kayaking, or to take a tour of the village. One thing we really like about Bulungula is the way it handles these activities. In most places, you'd pay the lodge itself for stuff like this, and the lodge would then pass on a tiny fraction of that price to the villager taking you out riding, kayaking, or whatever. Here, the activities are organized by the village itself, run by the villagers, and you pay them directly. It might not sound like a big deal, but it's the difference between being an underpaid employee and having a real sense of ownership. Whether we've spent our day packing in all the activities we could, or whether we spent it leafing through the lodge's impressive library and sitting out on the beach with a book or three, at sunset it's time to make our way back to the main lodge for dinner. After loading our plates up with whatever fresh steamy goodness they're serving tonight, we head back outside to sit around the bonfire and chat with our new friends over dinner. Oh, did I mention friends? There are a small handful of special places we've been to in our travels where it seems that good friends were present in abundance, just waiting for you to introduce yourself. One of these was the San Nicholas Hostel in Buenos Aires, where we seemed to make new friends hand over fist. Another that stands out was our voyage among the Galapagos aboard the Samba, where once again that same magic seemed to be working itself. And so it was too with Bulungula. 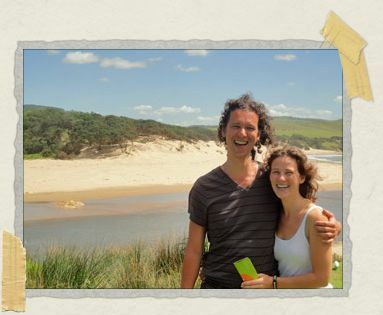 It was on our as-yet-undescribed quest to come to Bulungula using only public transportation (a feat that earned us a free night at the lodge) that we first met Dutch couple Peter and Loes. She had just wrapped up a long-term project working in one of the Rainbow Nation's struggling townships, and he had come to join her for the culmination of her efforts in holding a job fair for the local kids there. The two of them were such lovely people that we couldn't help but like them from the start, and we all found ourselves sitting together for nearly every meal at the lodge, sharing stories and making each other laugh. We can't wait to see them some day again soon, and to at last see in person the adorable houseboat they live on in the middle of the Dutch city of Utrecht. On our second night there, we met a suspiciously-intelligible Welshman named Paul. (I say "suspiciously-intelligible" because if you've ever met a Welshman you know that it's nigh impossible to interpret what they're saying half the time. It turns out that Paul lived in Manchester, England, which is why we could understand everything he said.) 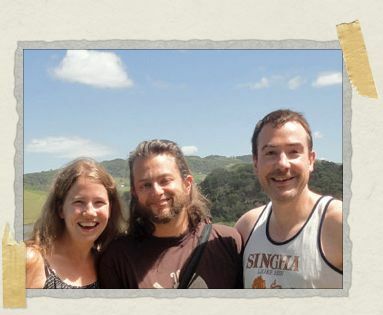 A former teacher turned environmental consultant, he was a beacon of kindness and light, one of the most wonderfully positive people we've ever had the privilege to meet. A day or two later, we went on a walk with him to check out the new school built by the Bulungula Incubator (a non-profit organization started by the lodge to help make life better for the people of Nqileni). It transpired that Paul had lugged a rucksack full of school supplies to Bulungula with him, just so that he could donate them to their cause. The three of us shared many, many a night sitting around a wooden table inside the warm main lodge, or huddled around the bonfire out under the stars, just sharing a few beers and talking about the world. We were sad to say goodbye to him. Rounding out our new friends were Paul (another Paul) and Marina, a newlywed couple from Cape Town who had come to the lodge for the last few days of their road-trip honeymoon. Paul was an archetypal Afrikaner, a broad-shouldered and broad-grinned farmer whom you instantly knew you could trust with your life. 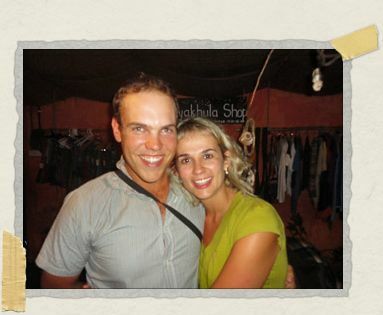 Marina, his beaming bride, was an accountant who worked in the city, part of the hustle and bustle of Cape Town during the day and then commuting back home to the farm in the evening. They were both so giddy and alive, so magnificently happy. On our last night together, they came to the suppertime bonfire with a bottle of champagne from their wedding, which all of us passed around as we toasted to their new life together. We're hoping to maybe travel to Namibia with them some day soon. There's something special about the places that inspire so many friendships to form, something almost magical. By the time we first set foot in the lodge, soaked by the rain and shivering in the chilly evening air, it had already begun. And by the time we moved on from Bulungula, we found ourselves richer in friends than we'd been when we arrived, and were the happier for it. In part, that may be because she was really sick by the time we arrived, and had to spend much of our time there in bed, which is always a frustrating experience. In part it was because she had read more blogs raving about Bulungula than I had, and so maybe had higher expectations than I did. Part of it was definitely because of her unhappy interactions with a rather toxic woman who was tangentially associated with the lodge – nothing throws Jessica off like people who are mean for no apparent reason. There's another reason, too, a conversation we had with one long-term volunteer about something that volunteer was planning to do in the organization's name – something that we were pretty upset about. But because we don't have any reason to believe that Bulungula endorsed (or was even aware of) those plans, it doesn't seem fair to mention here what they were. It was a conversation, though, that had a real impact on Jessica's opinion of the place in general. But if you were to press Jessica on which parts of Bulungula she enjoyed, she wouldn't have any trouble giving lots of specific examples. 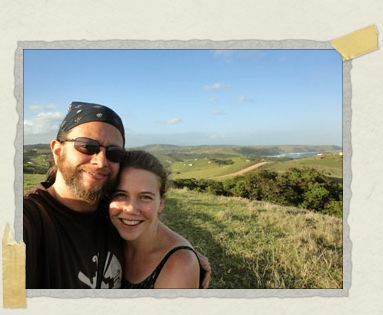 The scenery was astonishingly beautiful, and the walks she and I would take together through the countryside (complete with dozens of little mini-conversations in Xhosa with the villagers we'd meet) were some of our happiest memories from our trip. 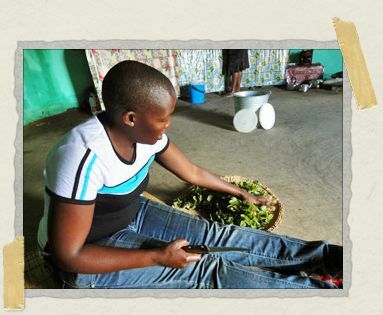 She believes that Bulungula is making a difference in a lot of ways, like the approach it takes to the activities it offers – making the people leading them into small business owners rather than employees of the lodge. And above all, she would tell you that we met an enormous amount of positive and kind people from a wide range of backgrounds there, and so many incredibly friendly and incredibly genuine long-term volunteers. People with good hearts and the best of intentions, making real differences in the lives of their fellow human beings. If you took our experience there and broke it into small pieces, virtually all of those pieces would represent some happy memory, something she really liked. It's when you put it all together that it's more conflicting. And the fact is that Bulungula isn't perfect. When you picture the marvelous isolation it offers, you should also picture the other three dozen backpackers who will be enjoying that isolation with you. Watching a large number of them getting high together in the common room, I found myself wondering again whether this place was the real deal, whether the people of Nqileni actually benefited at all from us being here, or whether they resented the lodge and the people who passed through it. One activity we took part in at Bulungula was the so-called "Women Power" tour, where we spent part of the day with a young lady named Khululwa who took us through what a day in the life of a Nqileni woman was like. The experience was amazing, and something we'll have to discuss more fully in another post. One of the best parts of it, though, is that we got to just chat with Khululwa for hours on end. At one point, Jessica broached the subject that had been in the back of our minds since we arrived at the lodge. What did Khululwa think of Bulungula? What did she think of Dave Martin, the man who founded it? Immediately breaking into a spontaneous, genuine smile, Khululwa was emphatic in her response. "Dave is a star," she told us. She said that it wasn't just that Bulungula had provided jobs for the village. It had also provided clean water to drink, and medical care, and a new school for the children of the village. The more we talked, the more clear it became that Khululwa seemed to have no second thoughts about Bulungula at all. She actually preferred the times when the lodge was busier, because it meant she got to meet more foreigners, and to practice her English that much more. Walking back to our rondavel afterwards, we thought about what she'd told us. In our travels, the two of us tend to encounter happiness and light far more often than the reverse, to the point that I know we can come across as a little bit Pollyanna sometimes. But one thing I don't think we are is naive, and as I said at the beginning of this post we'd come to Bulungula half-expecting it to turn out to be all style and no substance. 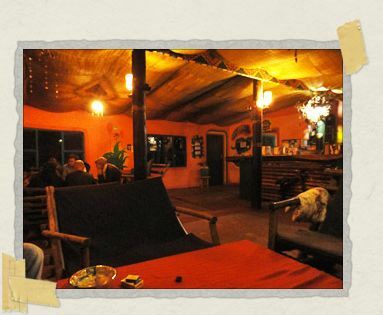 Founder Dave Martin feels to us to be a good and honest man working to make the world a better place, and to help raise the awareness of the backpackers who stay there. That being said, it does feel at times like some of those backpackers are more interested in recreating the second half of The Beach than they are in learning very much about Nqileni or what they can do to help the people there. 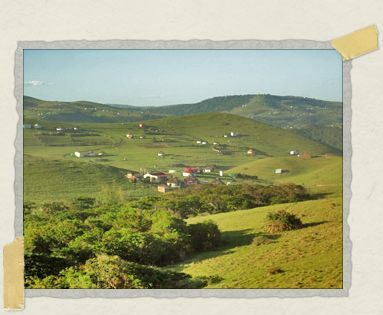 Nqileni is one of the poorest villages in in one of the poorest regions in South Africa. The people who live there aren't exhibits in any human zoo, and we can only hope that visitors to Bulungula don't treat them that way. The undeniable fact, though, is that their lives have only gotten better since Dave arrived, and that he strives to make sure they're treated with the dignity they deserve. 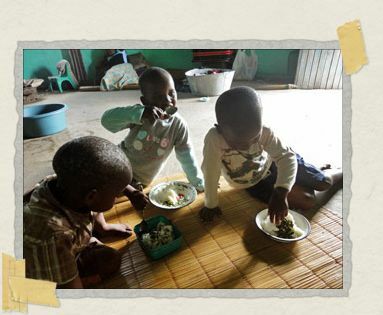 About a month ago, the Eastern Cape government announced it was canceling its School Feeding Program, a decision with devastating repercussions for the poorest people living on the Wild Coast. Without that one hot meal provided at school, a meal that many absolutely depended on, the welfare of their children would be in real jeopardy. The public outcry has been enormous, and the feeding program will probably be reinstated soon. In the meantime, though, children are going hungry. Except in Nqileni, where the Bulungula Incubator has managed to raise enough money to continue the program without interruption. In fact, they've raised enough money to do the same at a number of surrounding schools as well. And that is a project worth supporting. That, my friends, is the real deal. Great story! I'm sorry to hear that Jessica had some negative experiences, but I am glad you found a "real deal." Yeah, it really was a complex, fascinating place, and one that left us both a whole lot to chew over in the weeks and months since we were there. Wow. This brought back memories. My husband and I did a RTW trip for our honeymoon 5 years ago. Out of our entire trip around the world, Bulungula stands out as our absolute favorite place. We were there when it was quite new, not even mentioned in Lonely Planet yet, and we were really blown away by it. There were only a handful of visitors at the time (maybe 6-10? ), but we also felt like we made great friends there. Like you, what we enjoyed most was talking to the villagers and learning about their way of life. We also spent a lot of time talking to Dave & Rejane about their vision for the place (this was before the Incubator). It looks like they've done a marvelous job. I share a lot of your concerns about the impact of travel (even responsible travel) on communities, and treating local populations as exhibits. It's something I think about often but haven't quite come to terms with (because don't we all travel, to some extent, to learn about/observe other cultures? at what point does it cross the line? and are we hypocrites to condemn it in others?). Anyway, your post resonated with me and makes me come back to those "deep backpacker" thoughts I used to have back in the day. By the way, congrats on getting there entirely on public transportation! We used public buses exclusively around S. Africa, except the Bulungula car picked us up on the side of the road (and even in the 4WD, we got stuck in the mud several times). I can't imagine getting ALL the way to the lodge without some help. Kudos! As an aside, I've long since stopped reading most of the travel blogs I used to RSS since work & family take up most of my time now. But your blog has stayed on my feed because I enjoy it so much. Good job guys! Wow, what a fantastic comment. Thank you so much for sharing with us! My husband and I did a RTW trip for our honeymoon 5 years ago. Out of our entire trip around the world, Bulungula stands out as our absolute favorite place. Hey, five years ago? That's when we were on our own RTW trip! We were in South America from March to August 2005, then in Europe (and Turkey) from August through December, then in Southeast Asia from December 2005 until June 2006, and then in Canada and parts of the US through August 2006. I wonder how close our paths ever came to crossing? It's interesting to hear your take on Bulungula – small places like that can change so drastically in just a few short years. I'm glad this one has lived up to the promise you saw in it half a decade ago. I share a lot of your concerns about the impact of travel (even responsible travel) on communities, and treating local populations as exhibits. You make a lot of good points here, and ask the same questions we often find ourselves wrestling with. Travel is all about meeting new people and learning about different cultures – the path between that and the more exploitive side is a very slippery slope indeed, with most of the world falling in the middle somewhere. Definitely something we've been planning on taking a closer look at in a future post. This comment is getting a little long, so I think I'll pick up my thoughts in a new one! Awesome! You're the very first other backpackers we've ever come across to rely on public transportation in South Africa! The Bulungula website was incredibly helpful to us, providing very detailed instructions on how to get there via public transport. (It was still quite the adventure, but at least we had that to guide us!) In fact, their website was one of the things that really encouraged us we could go ahead and rely on public transportation in SA in general, and thank goodness they did! Okay, you have now just completely made my day. We're both incredibly happy to hear that you enjoy our stories so much. Thanks again for your awesome comment, Marina! Happy travels! I'm glad you guys (mostly) had a good experience at Bulungula. Wasn't the food amazing? We really enjoyed the meals, the scenery, and little interactions during our walks. But like much of travel, the experience at Bulungula is complicated. I, too, wondered what the people in village thought of us outsiders descending on their homes, especially on the village tour that we took. I don't like treating people like they are exhibits at a zoo. Even if you have good intentions, when you are paying for the experience of seeing how others live, and with a language barrier to boot, it can sometimes feel that way. On the other hand, I am genuinely interested in how others in this world live, and if it wasn't for the lodge, I would never have gotten the chance to see life on the Wild Coast, which was very, very different than our experiences elsewhere in the country. I don't know, but I suspect that there are some villagers who resent the intrusion of outsiders on their home, and others who are grateful because it does provide jobs and other resources they wouldn't otherwise have. It saddens me that there are some backpackers who would make the effort to go all the way to Bulungula and treat it as a remote party place as opposed to an opportunity to experience a place they might not otherwise have access to. It sounds like the atmosphere was a little different when you were there. 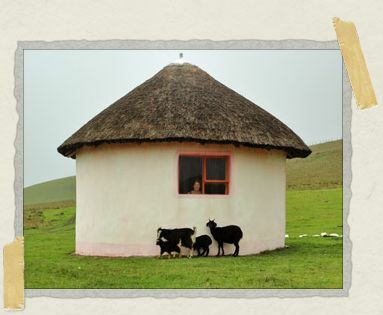 We were there in August, and on our first night, there were only four other travelers, and one couple spoke Xhosa. Sounds much more crowded when we were there. Overall, I am glad we decided to make the effort to go to Bulungula. You are right, Bulungula is not perfect, but I think the lodge's intentions are good and it is a unique opportunity for visitors and locals alike. I enjoyed hearing about your experience. It brought back memories – August seems like a lifetime ago already! Hi Amy! Sorry it took me so long to get back to you – we've both been laid up with a nasty flu the past couple of weeks. When traveling at all off the beaten path, it can be tricky to manage the whole "human zoo" equation – a balancing act that only gets more complicated when you're somewhere as remote as Bulungula. In the end, I'm really thankful for the experiences I had there and the insight it gave me into life on the Wild Coast. Wow, it sounds like a completely different scene when you guys were there. Only four other travelers? Awesome! Glad we could give you a little nostalgia. I haven't had a chance to comment on your blog lately (again, on account of the aforementioned nasty flu), but your recent posts have been making me miss Cambodia like crazy.